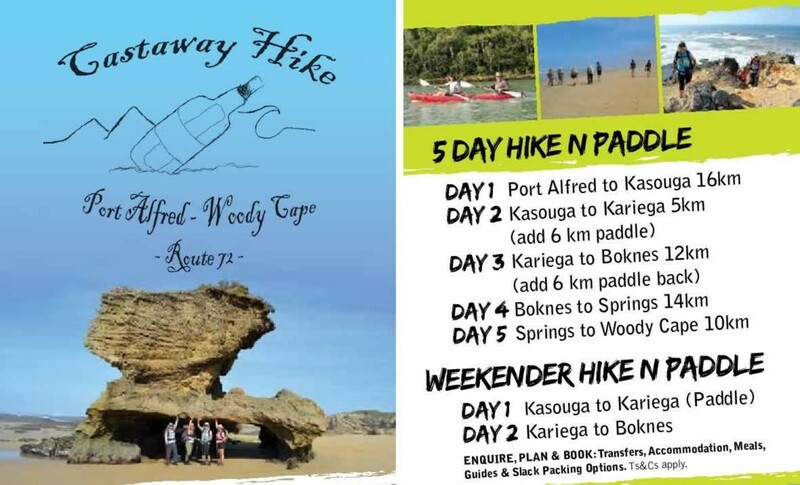 Two exciting Beach Hiking, River Canoeing hikes have been announced by Woodlands Cottages on Route 72. The packages are flexible and can be adapted according to your requirements - Please phone to discuss details and prices. 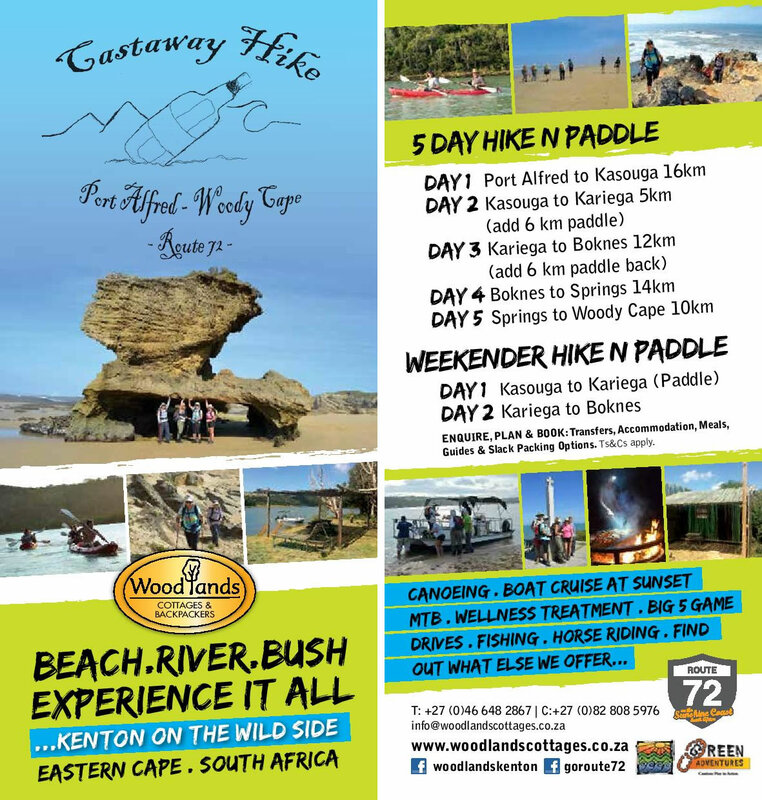 Enquire, Plan & Book : Transfers, Accommodation, Meals, Guides & Slack Packing Options. Ts&Cs apply.